We have zero tolerance for such goof-ups. When it’s Shah Rukh Khan, expect him to turn a zero into a million. When it comes the poster of Zero, his upcoming release co-starring Katrina Kaif and Anushka Sharma, however, the story goes a little differently. SRK had also tweeted the said posters last night, leaving many of his fans sleepless. From the look of it, the poster is fine. Like how Shah Rukh Khan’s film posters usually are — fun and happy, or intense and romantic. In this case, both shades were available. But a closer look, particularly the one with Katrina, makes you wonder if something is wrong. Shah Rukh essays the role of a vertically challenged person in the film. While I am unsure of the entire premise of the story — a lot has been said about it but a lot that is said is hearsay — my naive mind draws parallels with Kamal Haasan’s Appu Raja, or Apoorva Sagodharargal in Tamil, one of his bests. Haasan went through a lot of trouble to get Appu right, the circus clown you invariably fall in love with. The lack of computer-generated imagery (CGI) or other advanced camera and editing tricks at the time made the makers make do with whatever they had. Let’s not forget this was done about 30 years ago, in 1989, and Haasan was the first regular-size actor to play a vertically challenged person in Indian cinema. Haasan actually never revealed his trade secret. And if it wasn’t for a film discussion Singeetham Srinivasa Rao, director, Apoorva Sagodharargal, was part of in 2008, we’d never know how they managed to wow us thus. Haasan had apparently folded his legs at the knee, secured them up at the back and hobbled around as Appu. Special shoes and clothing were designed to get the rest of it just right. Special camera angles were used, a separate pair of artificial legs were made useful for some shots, and other shots required trenches and pits to be dug so that Haasan’s folded legs wouldn’t be visible while still showing him smaller than the rest. Shah Rukh Khan, however, hasn’t tried any such tricks. He’s straight up gone and hired a bunch of trained computer graphics professionals, paid them a large sum of money — reportedly over Rs 80 lakhs — and lit himself a cigarette while they scurried around. No problems there either. After all, if the technology is available, why not use it? But a 'dwarf' is not a hobbit, neither is he just a short man. The expensive CGI army deployed by SRK has only shrunk him down, leaving the rest around him look like the castle of the giant you reach after you’ve scaled the beanstalk. Dwarfism may be genetic (Achondroplasia) or due to a chromosomal abnormality (Turner syndrome), owing to a deficiency of the growth hormone (Pituitary dwarfism) or just plain parental neglect and malnourishment. But the physical manifestations of each of these are similar in some capacity — short stature along with a stocky or stubby built. Shah Rukh in Zero looks like he’s forgotten to wear his man-heels for the day. Shah Rukh’s flawed uniformly proportionate structure makes Katrina look disproportionately big. 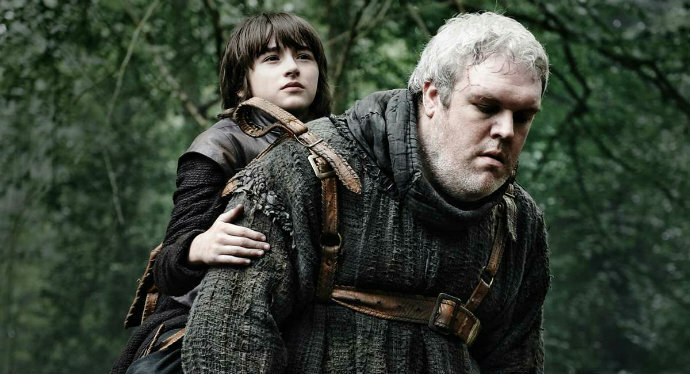 Like Hodor to SRK’s Bran. I’m pretty sure that wasn’t what was intended. While Kat’s slender legs seen through the thigh-high slit on her gown are visibly longer that Shah Rukh’s, his limbs simply look straw-thin compared to her and make him look more like a child than an adult. At the risk of miffing cinema enthusiasts, Haasan’s Appu also looked a tad disproportionate due to his overtly broad build compared to the other circus performers shown alongside him. But we can overlook that because, well, it didn’t involve a CGI team and Rs 80 lakhs. How can we forgive Shah Rukh Khan? A particular riddle as a child always had me tear my hair off until I figured the optical illusion involved in it — to make a straight line appear smaller, draw another longer one parallel to it. Shah Rukh's gone ahead and made an entire film on that principle.